Aaron Judge continued his historic and awe-inspiring rookie season with his performance at Tuesday’s MLB All-Star Game in the Homerun Derby. 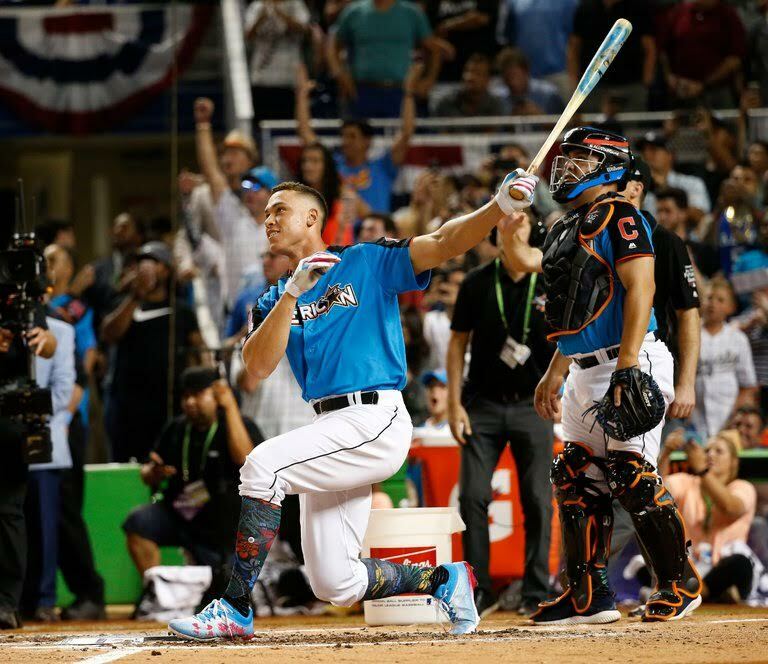 Judge hit 47 home runs – including four which traveled over 500 feet – to all corners of Marlins Park to become the victor of the homerun derby. Judge has quickly become an icon in the MLB. The Yankees outfielder – a towering 6 feet 7 inches tall, weighing about 280 pounds – is hitting .329 with 30 home runs, 66 runs batted in and an on base + slugging [OPS] of 1.139. His OPS is better than the career marks of Ted Williams, Lou Gehrig, Barry Bonds and every player in MLB history aside from Babe Ruth. No one has been better than Judge through the first half of the season as he is on pace to win both Rookie of the Year and MVP in the same season – only the third player to do so, the other two being Fred Lynn and Ichiro Suzuki. Judge even is a contender for the Triple Crown. One thing is clear – with his dominance and humble character, Aaron Judge has quickly become the face of the New York Yankees and is on his way to becoming the face of the MLB.